Want a benchtop that makes a statement? We offer a wide range of timber benchtops including Jarrah, Tassie Oak, American Oak, Myrtle, Black Wood, Oregon and various other timbers. 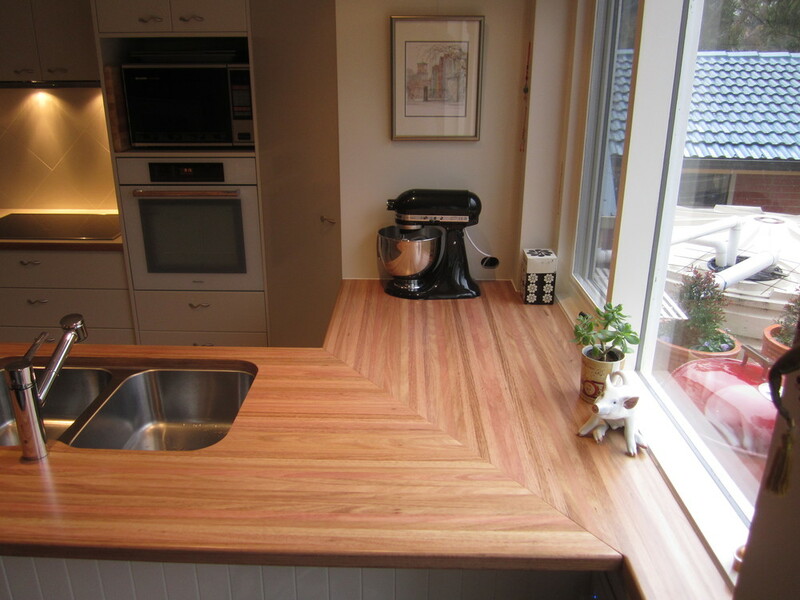 All benchtops can be stained and seeled to obtain your desired look. We offer raw benchtops, 2pac satin or gloss finish bench tops and many other wax or other seeling options. Niche Kitchens also provide more traditional kitchens, designed especially for your exquisite taste. Our designs include modern materials used to create a more traditional style. Receive a free in home quote and design consultation to talk through your ideas.